I’ve cobbled up a few short and succinct guidelines to direct the bedazzled notebook buyer into a narrower range of choices based on many personal needs and preferences. The teetering state of our economy, will not stop the maddness surrounding Black Friday. Therefore, we have once again decided to share some of the ‘leaked’ ads that have peaked our interest. So, empty that Christmas Club account and see you at 4:00AM. Check back here for new ads as they are released. I am very excited and proud to present a brand new report from PC Pitstop. Given the outrageous traffic on our web site, we are able to see the absolute fastest PC’s in the world, what technologies they use, and why they fall into an elite performance standing. 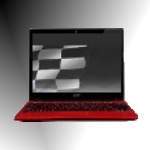 It took a lot of culling of the data, but I am pleased to announced the PC Pitstop Notebook 500. This month we will look at the fastest portables that money can buy. So let’s get to the results.